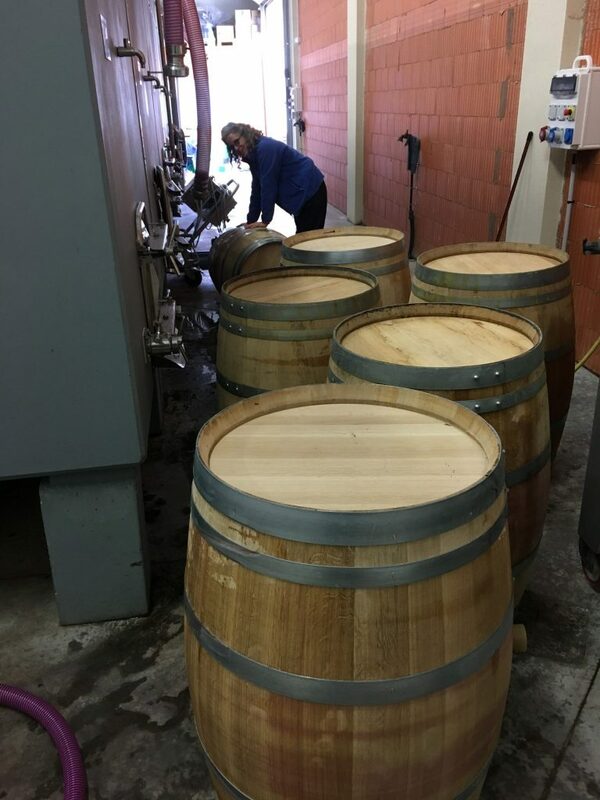 A busy day last week with our barrels. 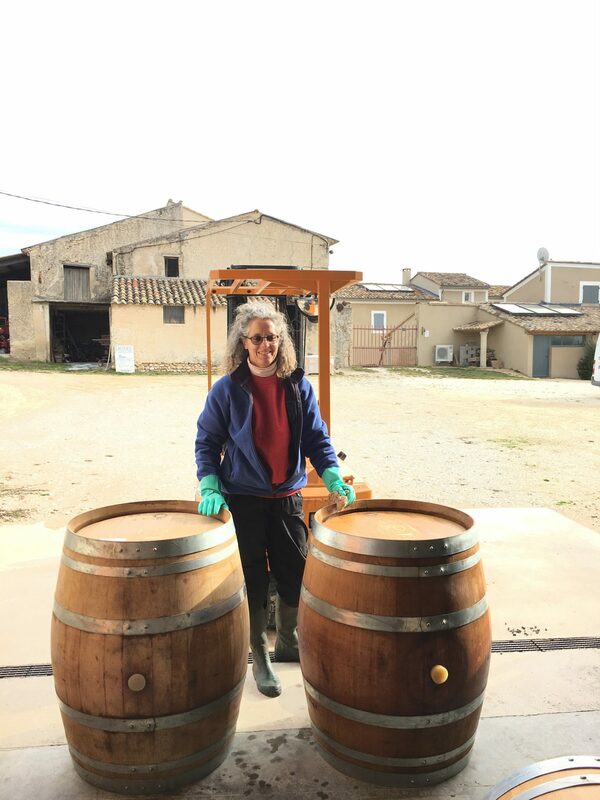 The wines for our La Dame Anglaise 2015 had been in the barrels for exactly 300 days and we decided that the time was right to get them out and (after a good clean) get our Vinsobres 2016 wines in. Unfortunately our pump doesn’t have an auto cut-off like a petrol pump so re-filling the barrels is a delicate process. It’s best to stop well short of the top and top-up by hand! 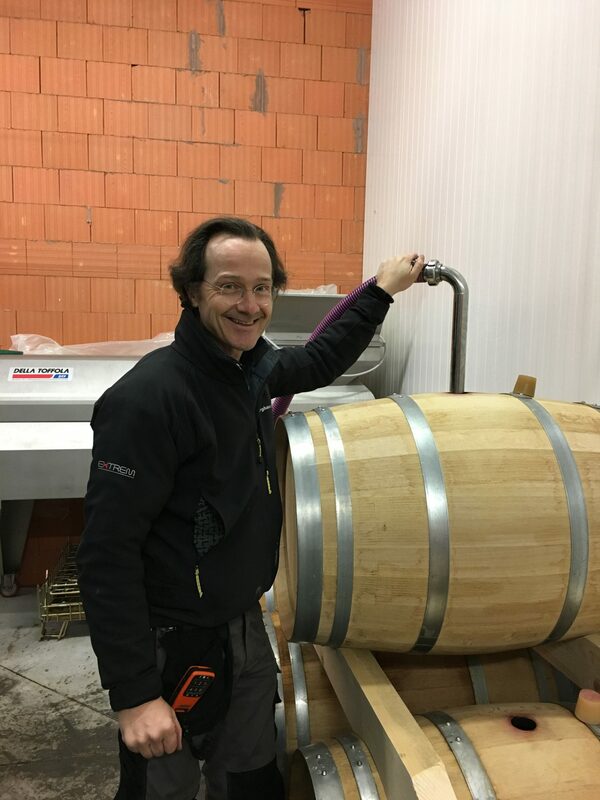 After a good days work the 2015 La Dame Anglaise is safely tucked up in a tank ready for bottling in June and the 2016 Vinsobres is in the barrels for the next few months.